Brixton! 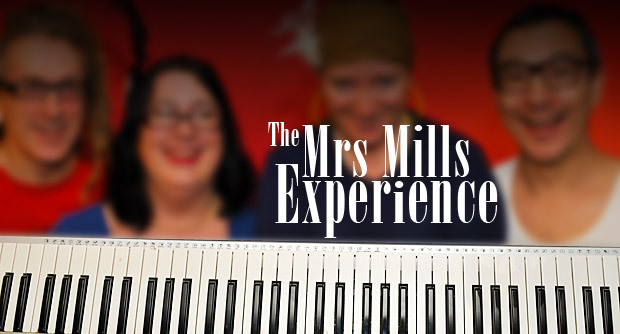 Get ready for the Mrs Mills Experience! 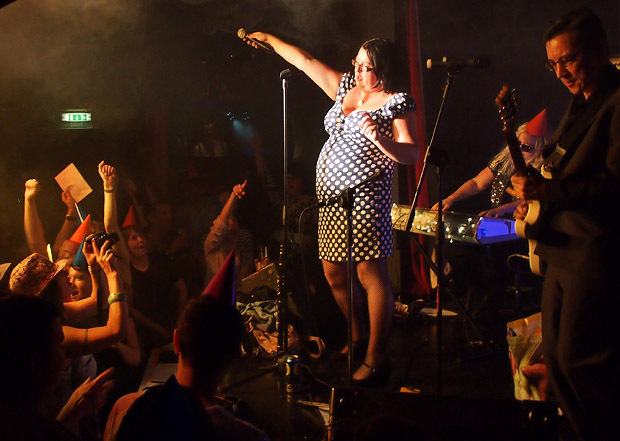 Coming up on the 1st June at the Brixton Albert is the world debut of the Mrs Mills Experience – a band so hot that they secured a Saturday night slot at a big festival without even recording a demo! 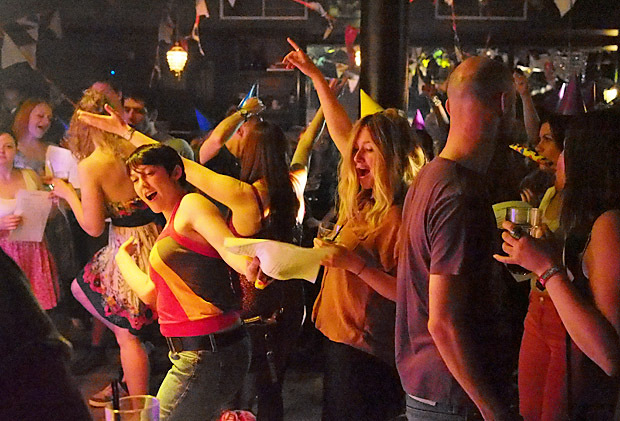 I have to declare an interest here as I’m in the band (! ), but so far the interest in Mrs Mills has been enormous – it seems that we’re not the only one feeling the love for the piano thumper extraordinaire, Mrs Gladys Mills. There’s even talk of us appearing in a TV special! Our debut gig will be at the Offline Club in Brixton on June 1st, defying all logic and choosing garage noise exponents and our best chums Atomic Suplex to be co-headliners. Accompanying us on selected songs onstage will be an army of ukulele players from the Dulwich Ukulele Club. 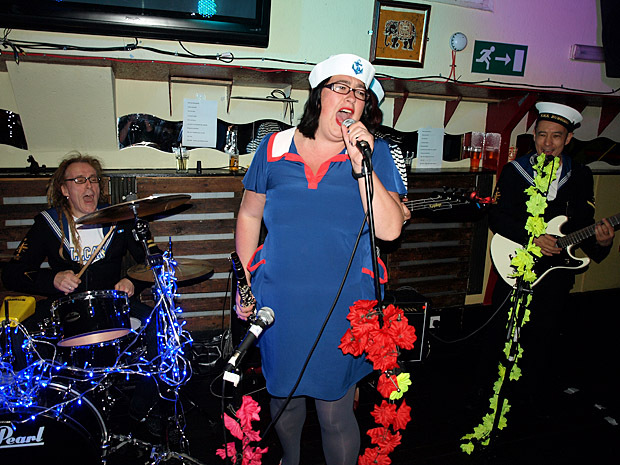 Next up is a date on the river with the band taking over the Tamesis Dock boat on the River Thames on Thurs 21st June, with all-girl go-go troupe The Actionettes providing the moves in a nautical themed evening of entertainment. 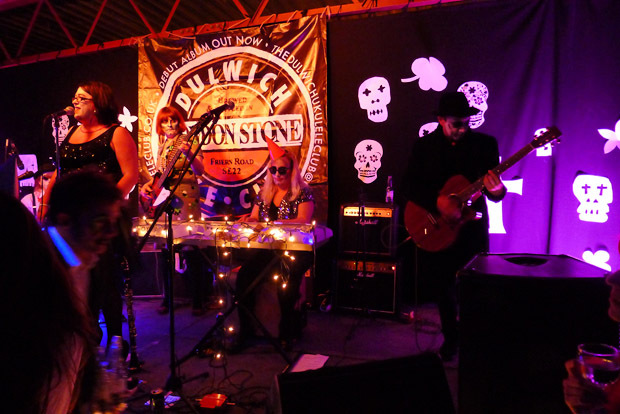 Finally, the band will be bringing the full Mrs Mills honky-tonk pub piano thunder to a packed dancefloor at Brixton’s legendary dance venue, The Dogstar on Saturday 30th June. 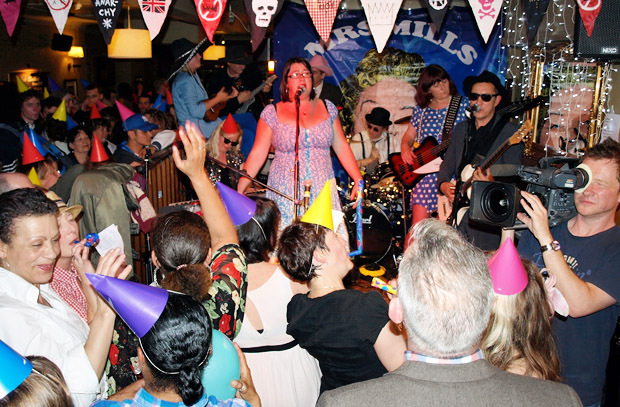 Clubbers will be treated to the unexpected spectacle of the Mrs Mills Experience in full flight, performing in the middle of a packed dance floor at midnight, complete with tap dancer, party hats and streamers. 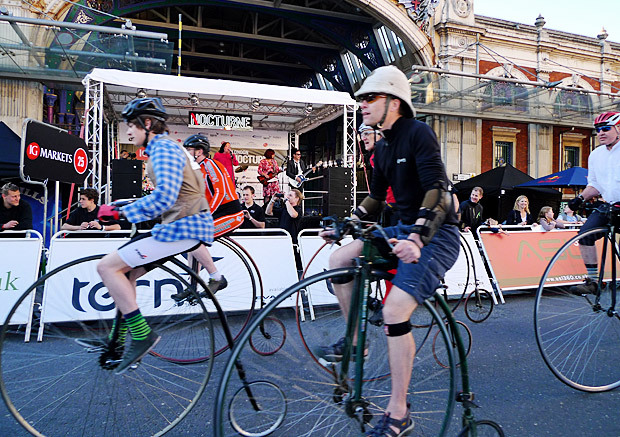 Several other surprise appearances with mystery guests are planned at similarly unusual venues before we take to the stage for a Saturday night slot at this year’s Vintage Festival in Northamptonshire, a 20,000 capacity event curated by fashion designer Wayne Hemingway. Read more about this crazy adventure here: The Mrs Mills Experience and check out our Facebook page here. Where can I hear your music? I couldn’t see anywhere on your website. Sounds fun- good luck with it!